Supports the activities and programs of the Douglas County Historical Society. Gives you access to all the resources available in our Public Research Library. Keeps you “in the know” with the quarterly newsletter along with updates on current programs and events. Helps us maintain and grow our resources and programs. Call 320-762-0382 or email historic@dchsmn.org to join today! You can join over the phone and pay with credit card. The mission of the Douglas County Historical Society is to discover, preserve and disseminate the history of the county and its people. You also have the opportunity to join the VOLUNTEER corps of the Society, assisting with the many areas of interest needed in the never-ending process of fulfilling the mission to discover, preserve and disseminate the history of Douglas County and its people. Pledges of cash contributions, with membership benefits, may be paid over a four-year or ten-year period to take advantage of maximum charitable deductions. Invest in the Douglas County Historical Society. Call 320-762-0382 for information on volunteer opportunities. 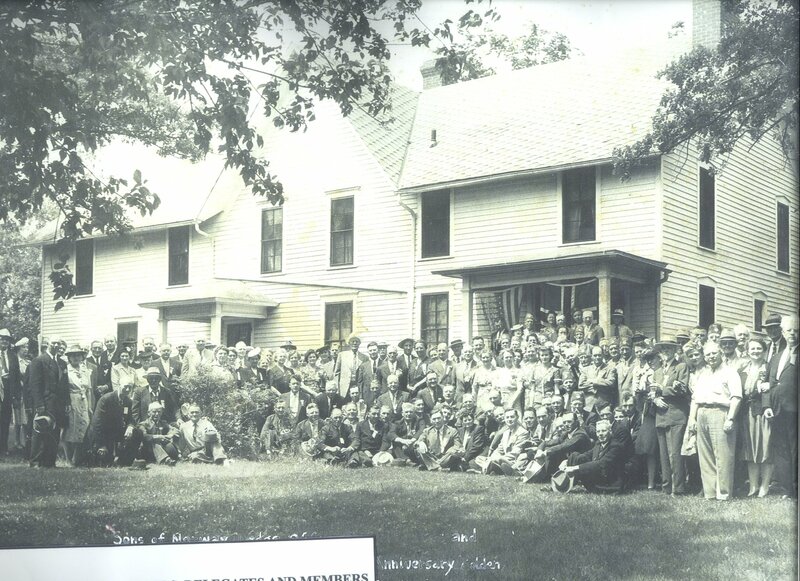 Sons of Norway Group in Alexandria, Minnesota in the backyard of Knute and Nicoline Nelson’s home in Alexandria.